Twisting Oreos to determine which side of the cookie the cream filling sticks to is a time honored tradition. For kids, it’s a great way to place a bet, or settle a variety of playground disputes with the help of the delicious confection. And the probability was always chalked up to dumb-luck, or some blind happenstance determined by the fate of the universe. But according to Princeton University researchers, it has nothing to do with probability or the powerful whims of the cookie Gods. 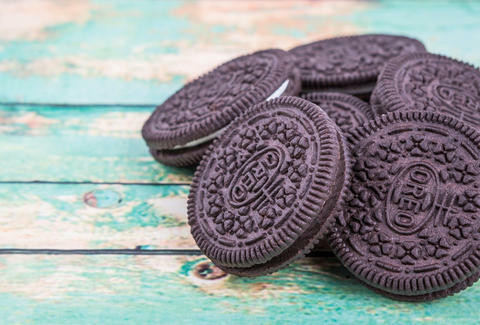 In fact, a study in 2014 concluded with a 100% rate of accuracy which side of the cookie gets the cream, and it all boils down to how Oreos are manufactured. That sounds easy enough, but where’s the evidence belying this simplistic claim? “It was easy to make the leap that it’s a feature of the manufacturing process,” graduate researcher Dan Quinn told Quartz. Oreos are made by a machine that pumps the cream filling onto a wafer. It’s the side of the cookie which first receive the cream that maintains the tightest grip on the icing, and keeps the icing when split in half. This is surely science’s best attempt at explaining one of the great mysteries of the snacking universe, so test it out yourself, and see what happens.